To be a leader in providing world class solutions and service, you must listen to your client and provide the products and service required to assist them to meet their demands for productivity, customer satisfaction and budget. Datrue partners with the leading manufacturers of equipment and software developers to provide the perfect solution to a variety of client needs. Consumers can not only receive dispensed cash, but deposit cash & checks and receive transaction records in any drive-up location or shopping center parking area. The island ATM is a versatile, easily maintained delivery system that can be modified to keep pace with the bank's changing needs. Our customers' success, and the advancement of our solutions, are directly linked to the core values of Nautilus Hyosung's corporate culture, putting the customers' needs first, while delivering high-value solutions. 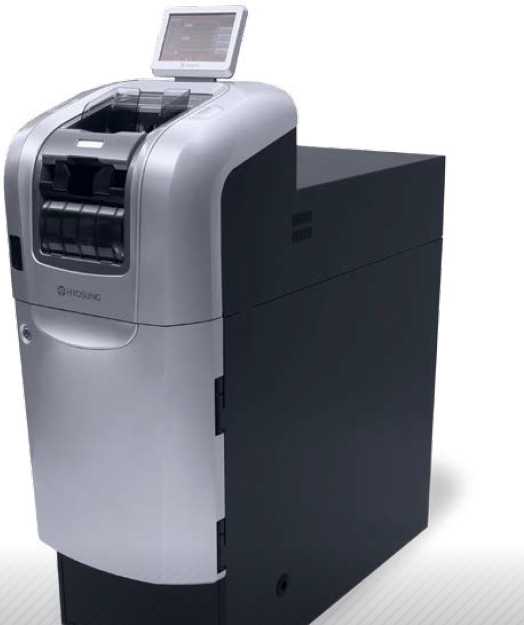 Canon scanners offer the kind of high-performance features that make converting paper documents easier. With so much advanced scanning technology to choose from, you're sure to find the imaging muscle you're looking for. The Cummins Allison focus on innovation began with the company's creation in 1887. Much has changed since those early days, but their dedication to providing top quality products, backed by great service, remains the cornerstone of the company. Datrue is proud to be the exclusive distributor for Cummins Allison coin and currency processing equipment in North Dakota and eastern Montana.